Schuckard, R. et al., 2006. Shorebird and Gull Census at Moroshechnaya Estuary, Kamchatka, Far East Russia, during August 2004. Stilt, 50, pp.34–46. Zharikov, Y. et al., 2006. Habitat selectivity and breeding success in a forest-nesting Alcid, the marbled murrelet in two landscapes with different degrees of forest fragmentation. Landscape Ecology, 21, pp.107–120. Chernetsov, N. & Huettmann, F., 2005. Lecture Notes in Computer Science. In M. L. Gavrilova, Kumar, V. , & Gervasi, O. Springer-Verlag GmbH, p. 133. Onyeahialam, A. & Huettmann, F., 2005. Lecture Notes in Computer Science. In M. L. Gavrilova et al. Springer-Verlag GmbH, p. 152. Elith, J. et al., 2005. The evaluation strip: A new and robust method for plotting predicted responses from species distributions models. Ecological Modeling, 186, pp.280–289. Gottschalk, T.K., Huettmann, F. & Ehlers, M., 2005. Thirty years of analysing and modelling avian habitat relationships using satellite imagery data: A review. International Journal of Remote Sensing, 26, pp.2631–2656. Huettmann, F., Franklin, S.E. & Stenhouse, G.B., 2005. Predictive spatial modeling of landscape change in the Foothills Model Forest. The Forestry Chronicle, 81, pp.1–13. 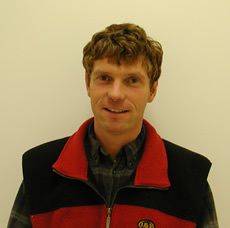 Huettmann, F., 2005. Databases and science-based management in the context of wildlife and habitat: towards a certified ISO standard for objective decision-making for the global community by using the internet. Journal of Wildlife Management, 69, pp.466–472. Huettmann, F. et al., 2005. Winter Distribution, Ecology and Movements of Razorbills Alca Torda and other Auks in the Outer Bay of Fundy, Atlantic Canada. Marine Ornithology, 33, pp.161–171.